Your car's windshield or roof could be getting a high-tech upgrade. The Model 3 is feature-packed as it is, but Elon Musk just keeps dropping more details regarding Tesla’s forthcoming affordable electric car. 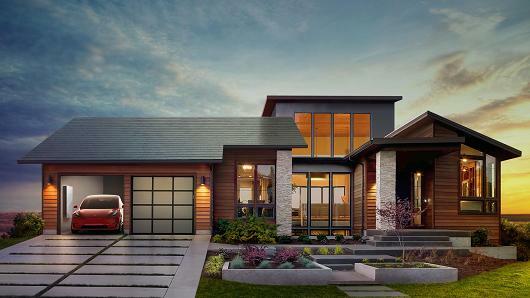 In a conference call yesterday regarding Tesla’s merger with SolarCity, Musk said that the Model 3 will feature the same technology as the company’s recently unveiled solar roof. Musk also said that the division is “using a lot of techniques from the automotive glass business,” so it makes sense that he also confirmed during the call that Tesla would incorporate the same tech from their solar roof into their Model 3. While he didn’t say exactly how the tiles would be used on the car, he later shared some details via Twitter that could be clues to its incorporation. Apparently the tiles could contain heating elements that would allow a car to defrost snow while generating energy, making them an ideal material for a car’s windshield. This development shows how Tesla’s possible merger with SolarCity could be beneficial to the company as a whole and not just within the home energy division. Should the merger be successful, Tesla could become even more profitable while developing innovative technologies that are in line with its vision of a sustainable future.